272 pages | 13 B/W Illus. 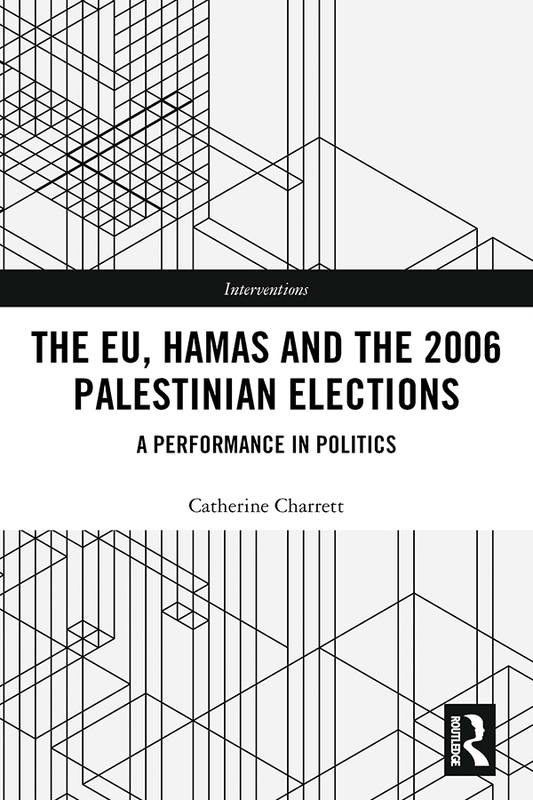 This book addresses how institutional and diplomatic rituals shaped the European Union’s sanction of Hamas after the latter’s success in the 2006 Palestinian legislative elections. Through a lens of performance and performativity it explains how socialisation and the duress of performative rituals shapes agency and prevents the possibility of being creative with policy initiatives when confronted with difficult decisions. Interviews with senior Hamas representatives, EU bureaucrats, members of the European External Action Service, and electoral observers from Palestine and Europe, in addition to ethnographic research in Gaza and in Brussels, recreate the details of the failed diplomacy between Hamas and the EU. The book explores the social and visual cultures and discourses that shape the recognition of contemporary subjects, and it presents Hamas’s response to being treated as a terrorist movement. It advances queer and postcolonial understandings of European-Palestinian political encounter by interrogating the bureaucratic and professional pressures that shape the political agency of EU civil servants and the recognition of Palestinian politics. This is a performative and interdisciplinary text; it juxtaposes empirical investigation, with critical theory, performance art and everyday experiences. It will appeal to students of International Relations, Interdisciplinary Studies, Middle-East Area Studies, Foreign Policy and Diplomacy Analysis and Gender Studies. Catherine Charrett in a Lecturer in International Politics in the School of Politics and International Relations at Queen Mary University of London. The author completed a PhD in International Politics at Aberystwyth University, an MSc in International Relations from the London School of Economics and a BA in International Relations from the University of British Columbia. The author received an Independent Social Research Foundation Research Fellowship for an interdisciplinary approach to researching politically and socially salient topics. The author has produced a performance piece on the topic of this book entitled: "Politics in Drag: Sipping Toffee with Hamas in Brussels," which can be viewed through the Review of International Studies. This research has also been published with the European Journal of International Relations.